Justice Antonin Scalia, joined by Justice Clarence Thomas, strongly dissented with the high court's 6-3 one-sentence order Friday, predicting a wave of murders and rapes in the streets of California. Justice Samuel Alito also disagreed but didn't join Scalia's dissent. Brown also blasted the decision Friday, saying, "California must now release upon the public nearly 10,000 inmates convicted of serious crimes, about 1,000 for every city larger than Santa Ana." California Gov. 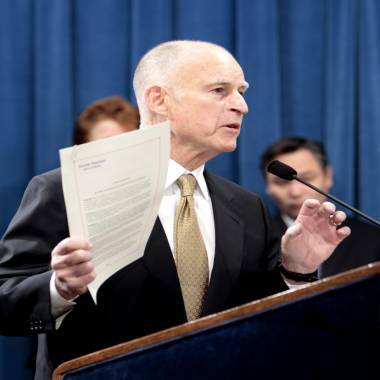 Jerry Brown, pictured at a news conference in Sacramento in January, called the Supreme Court's order dangerous Friday. 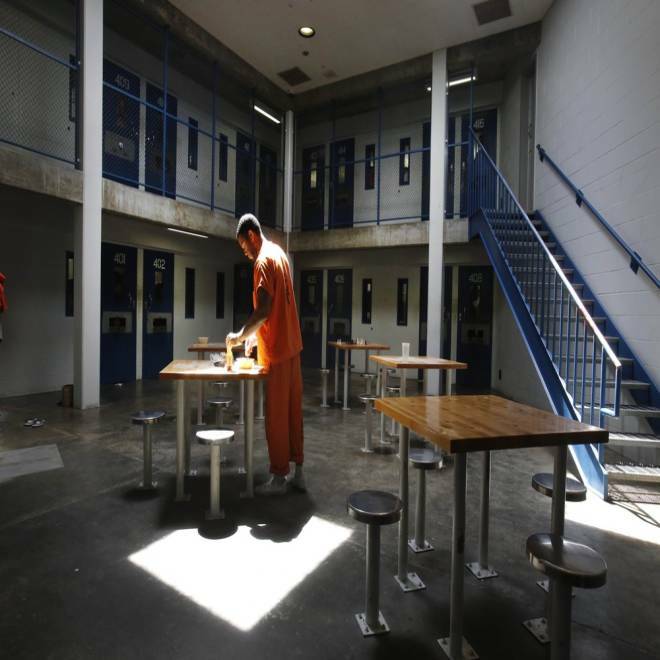 The legal issue was Brown's request for a stay of a ruling by a three-judge panel of the U.S. District Court for Northern California ordering the state to release about 9,600 inmates in the short term as part of larger proceedings requiring it to reduce its prison population by about 30,000. The state argued that it had made "meaningful progress" by transferring thousands of "low-risk" inmates to county and local jails. Scalia and Alito agreed with that argument. "They raised all their arguments," he said. "They filed hundreds of pages of documents. They used specially hired Supreme Court counsel at over a thousand dollars an hour to raise these arguments." Even though the ruling was issued without explanation, Scalia managed to find that it came "at the expense of intellectual bankruptcy," writing in a blistering dissent (.pdf) that it was "nothing more than a ceremonial washing of the hands — making it clear for all to see, that if the terrible things sure to happen as a consequence of this outrageous order do happen, they will be none of this Court's responsibility." Pete Williams of NBC News contributed to this report from Washington.